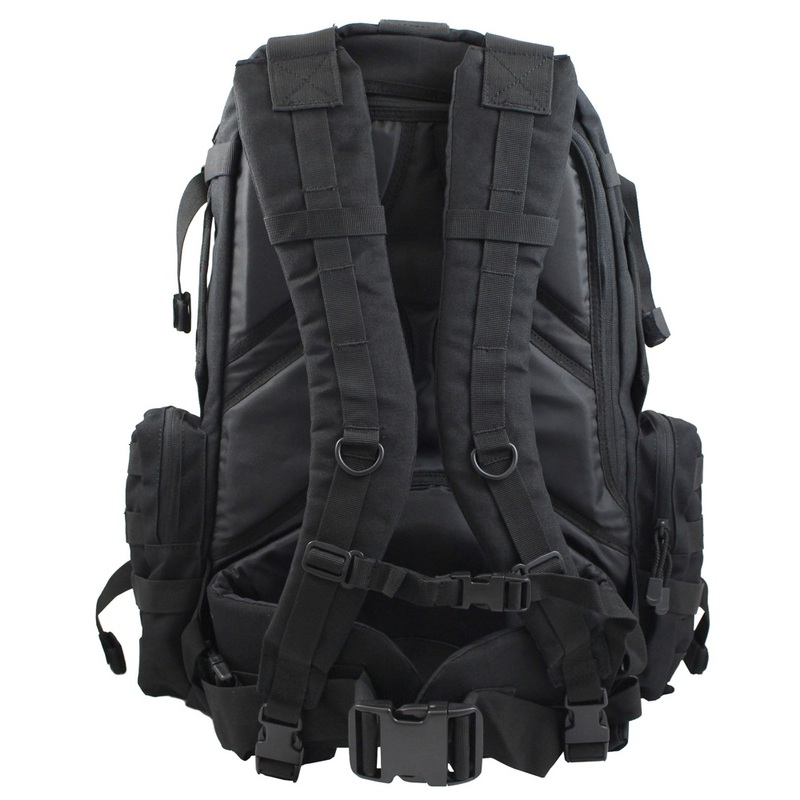 Be ready for your next weekend adventure with the Raven X Large Assault Backpack. 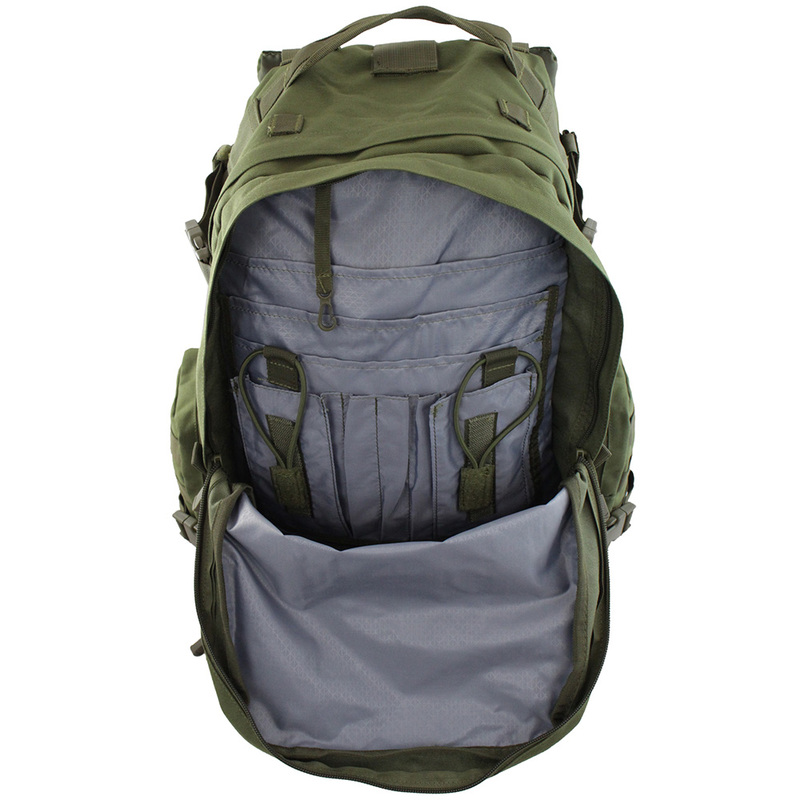 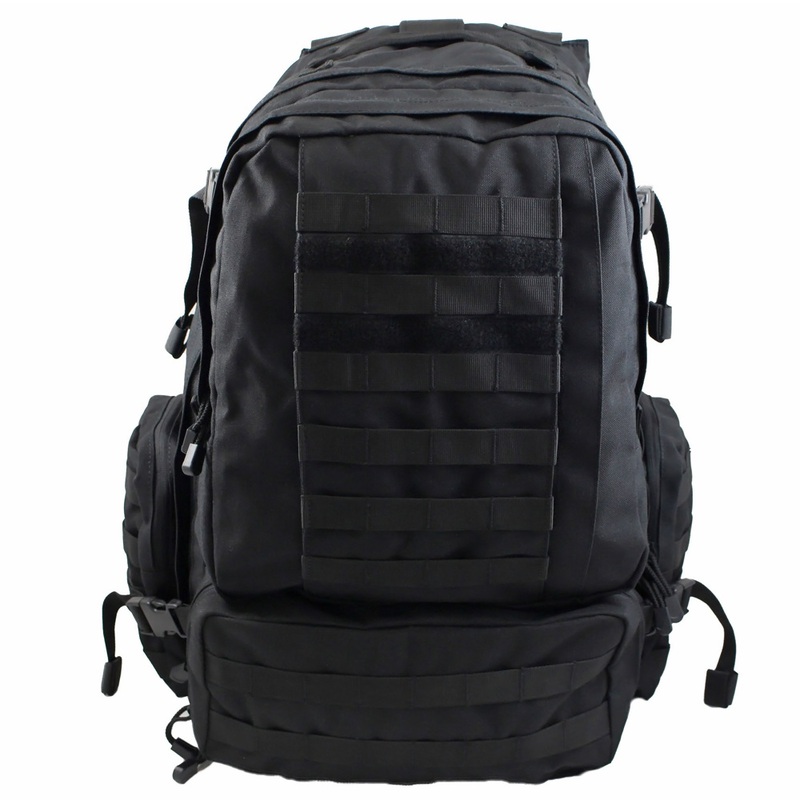 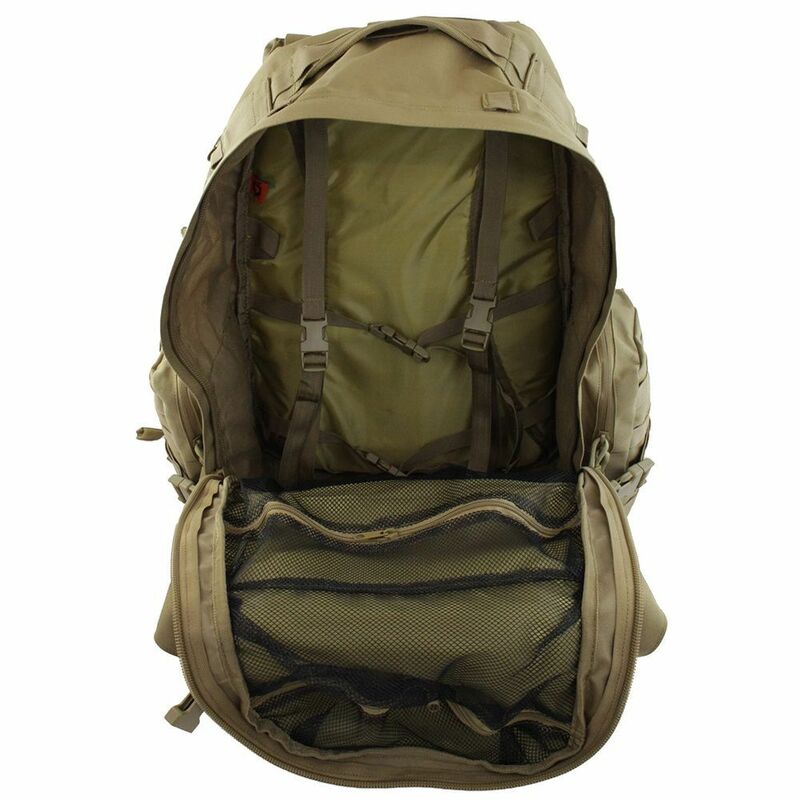 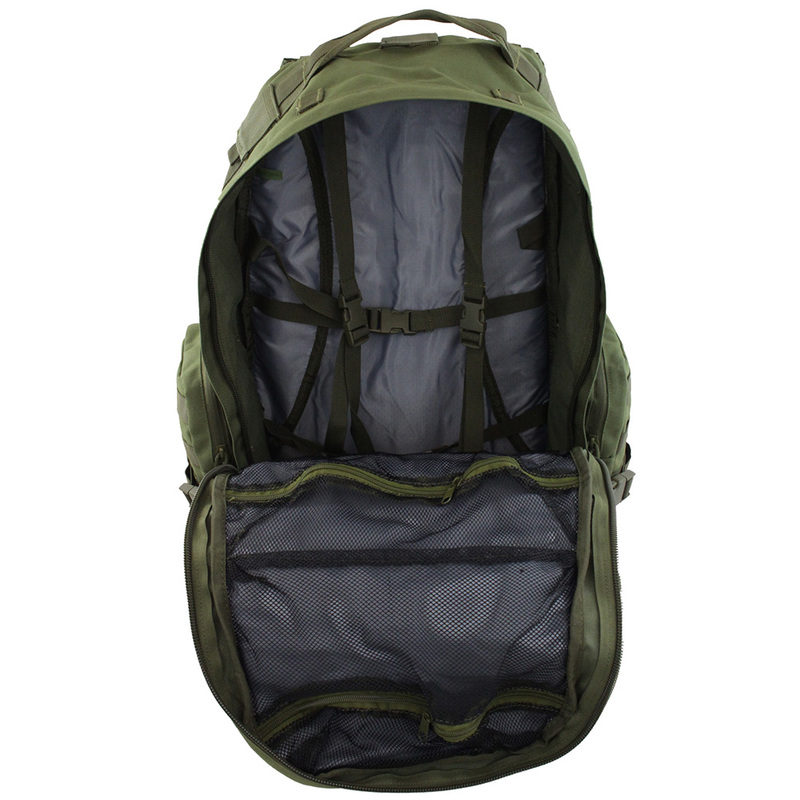 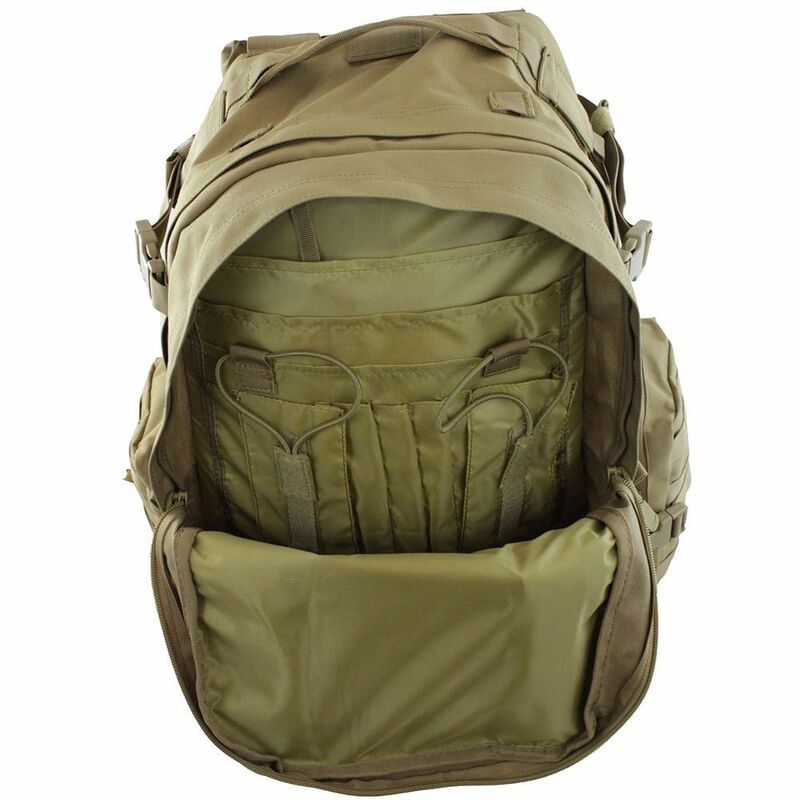 This large tactical pack features a spacious inner compartment and multiple front and side pockets for keeping smaller items secure. 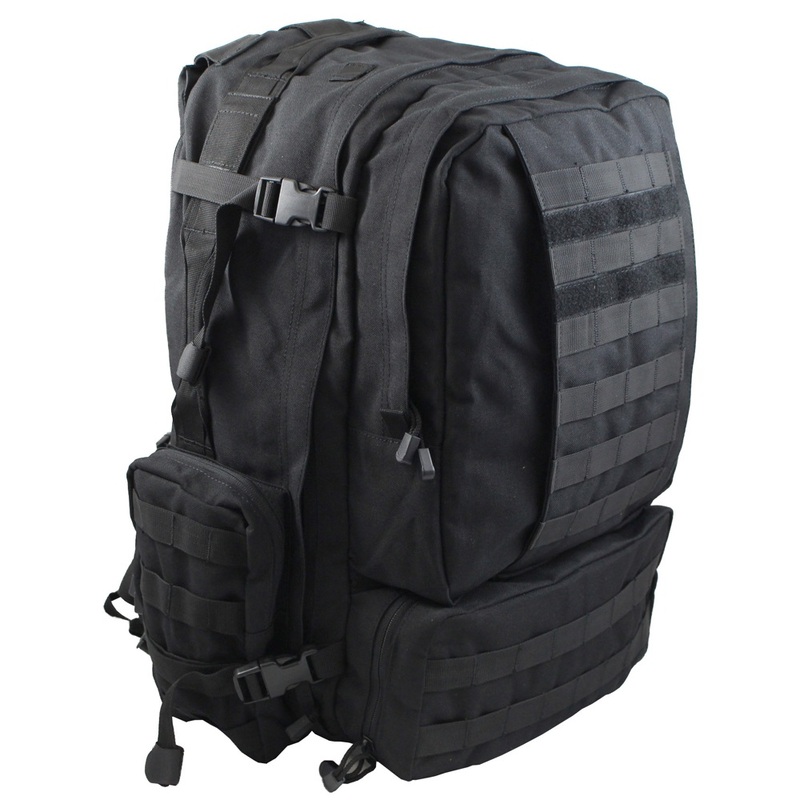 Inside there are two zipper mesh pockets and straps with quick release buckles to hold your gear in place during transport. 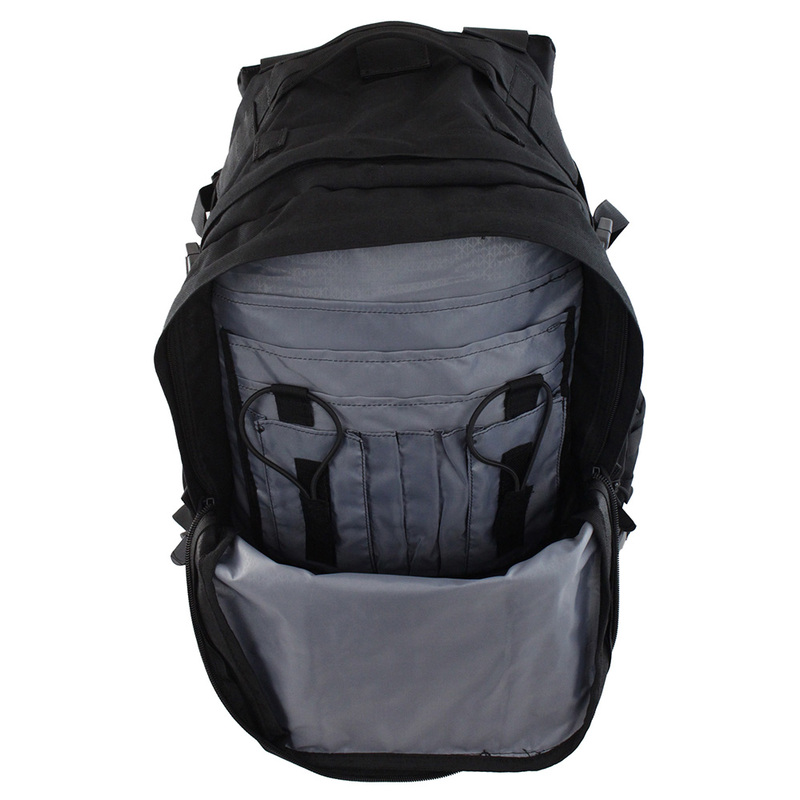 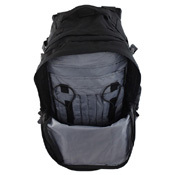 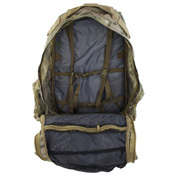 The back compartment is built to accomodate up to two 3L hydration bladders and hoses. 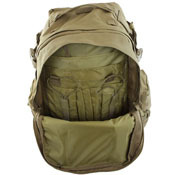 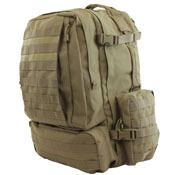 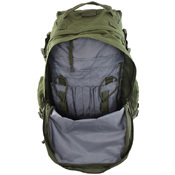 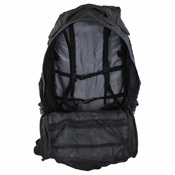 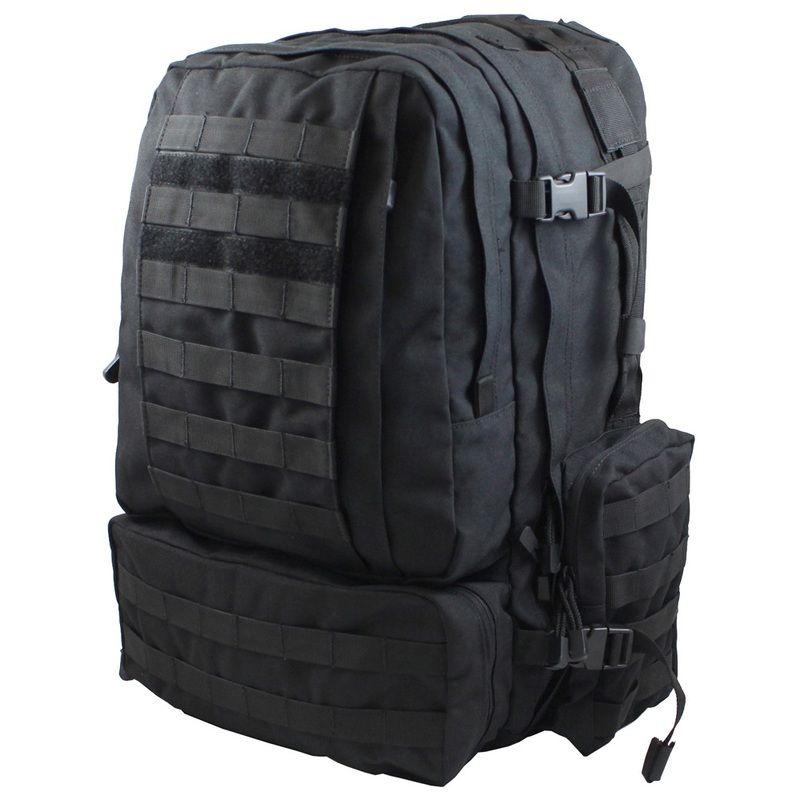 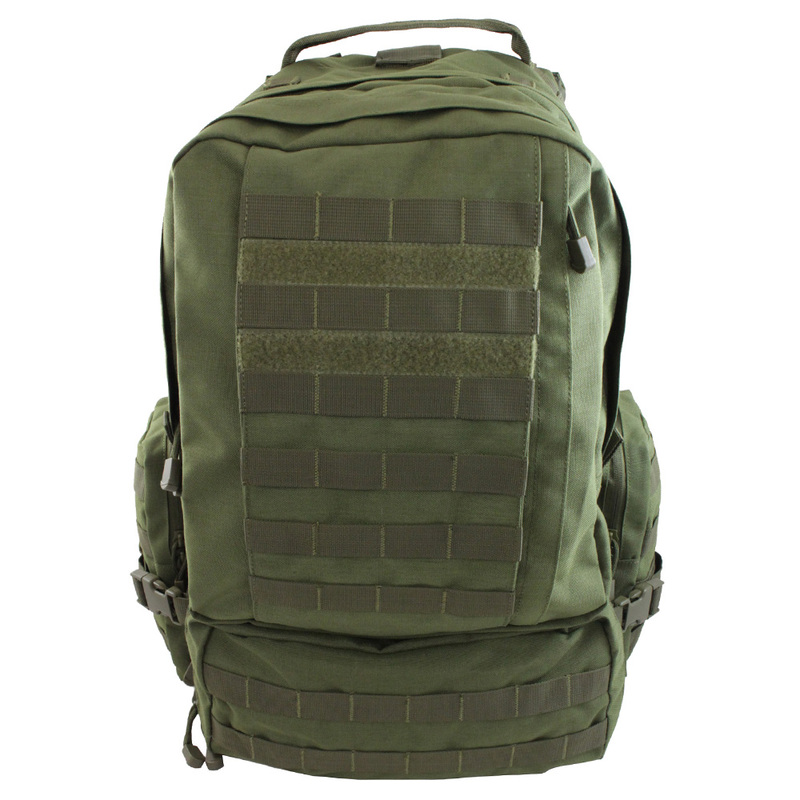 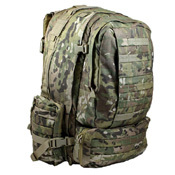 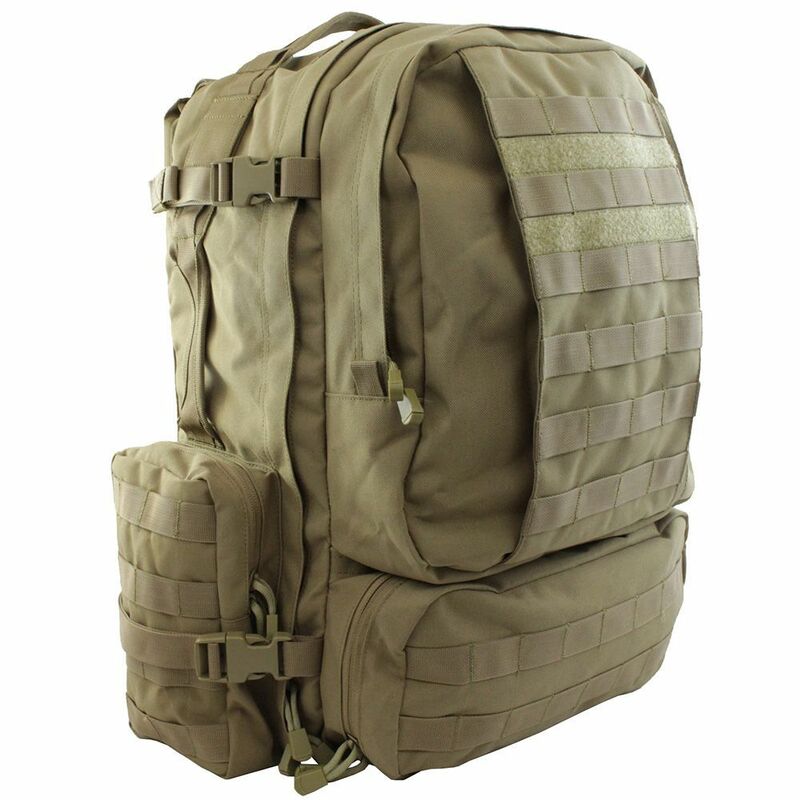 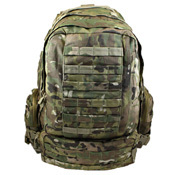 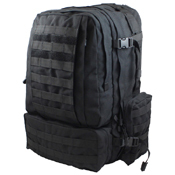 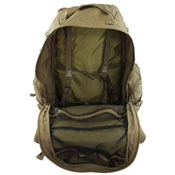 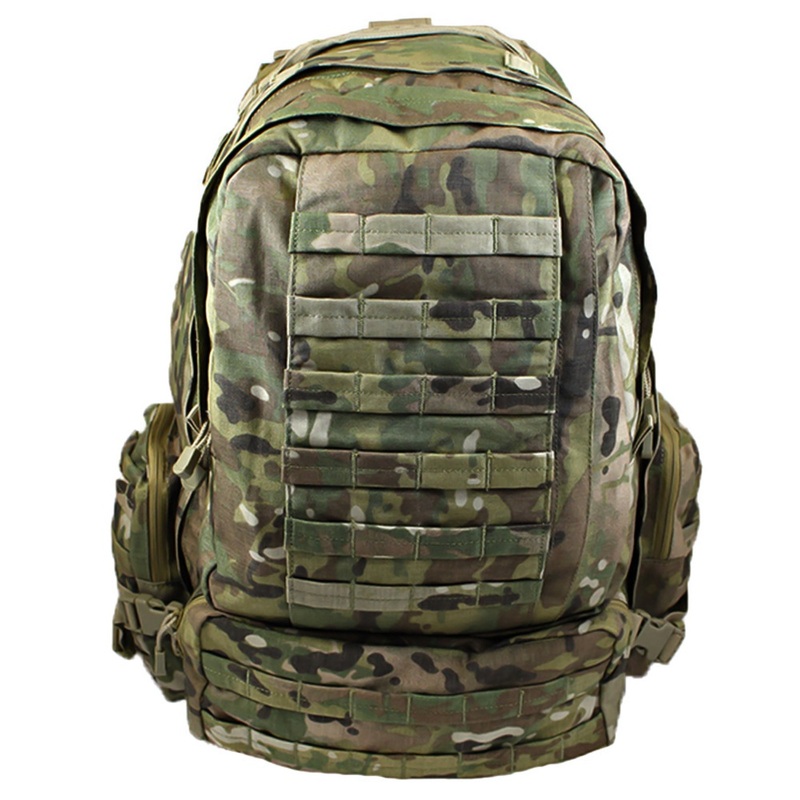 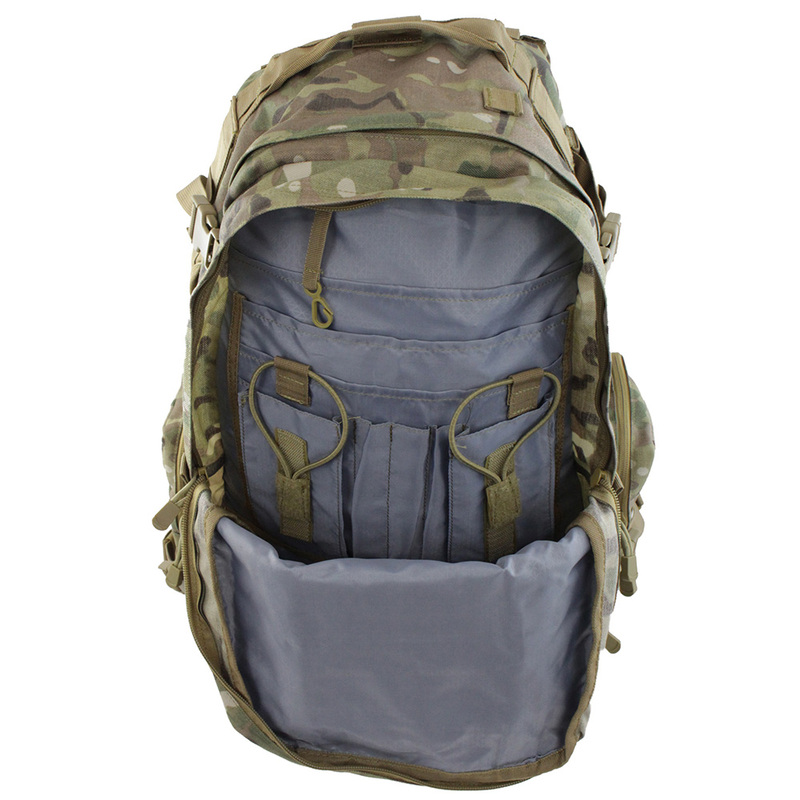 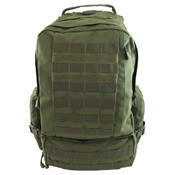 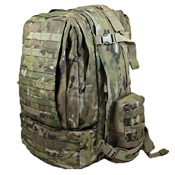 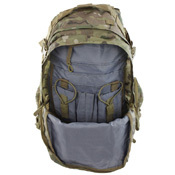 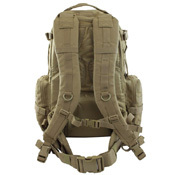 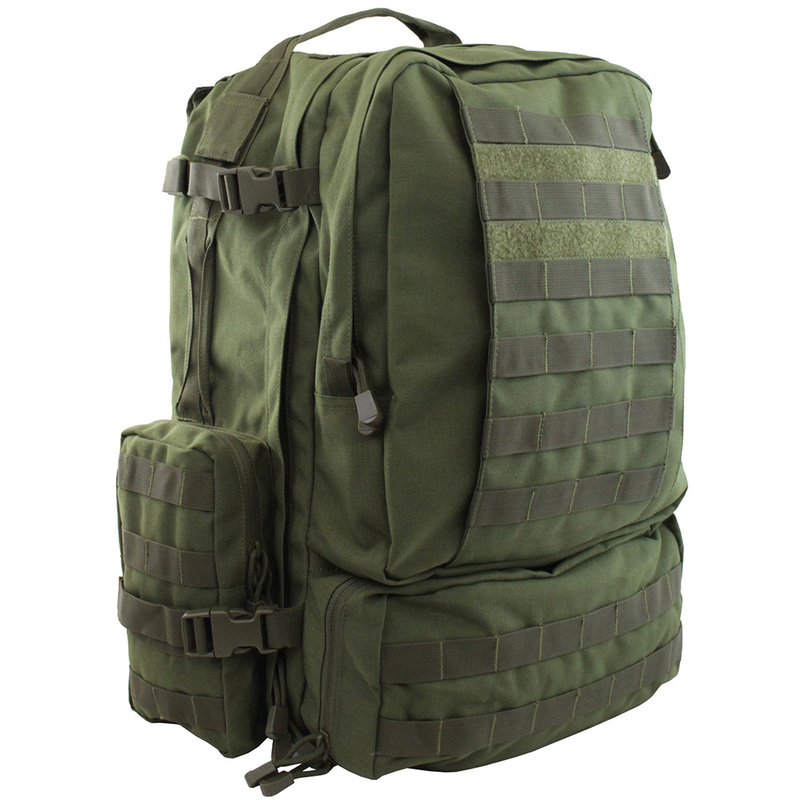 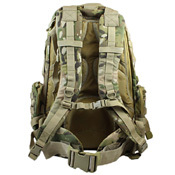 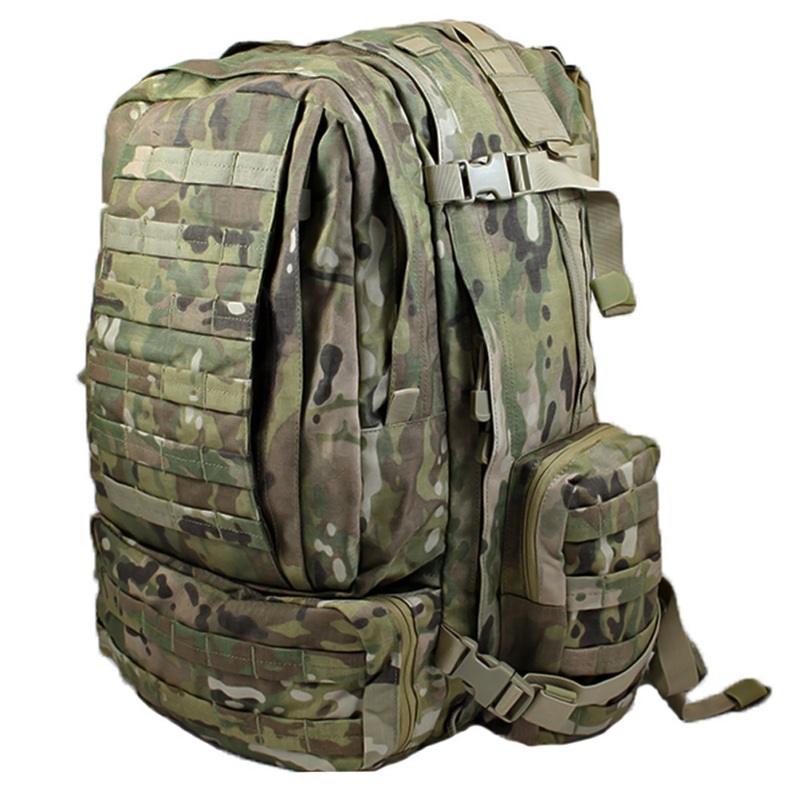 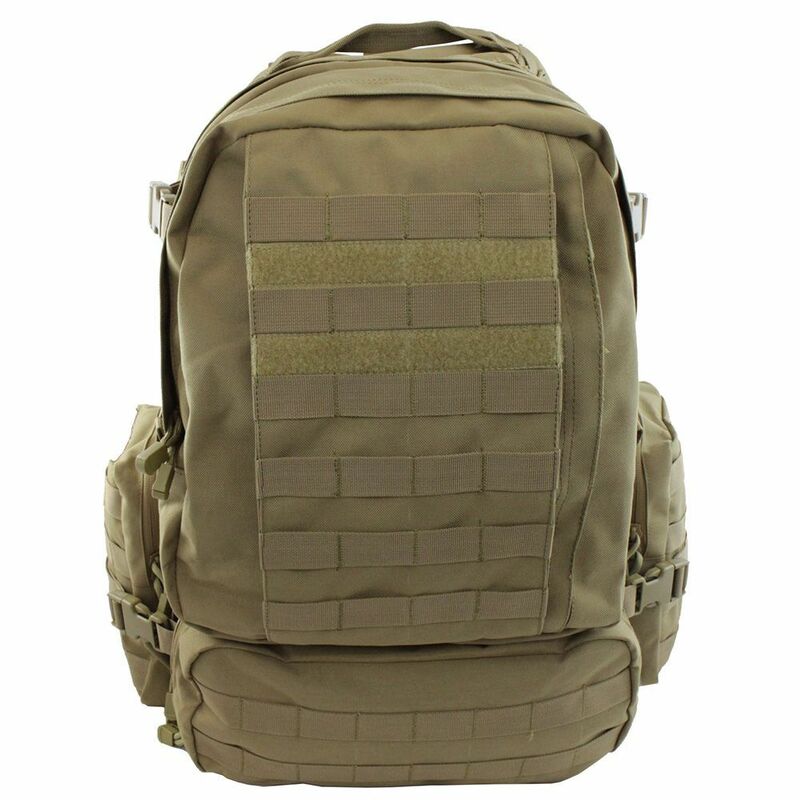 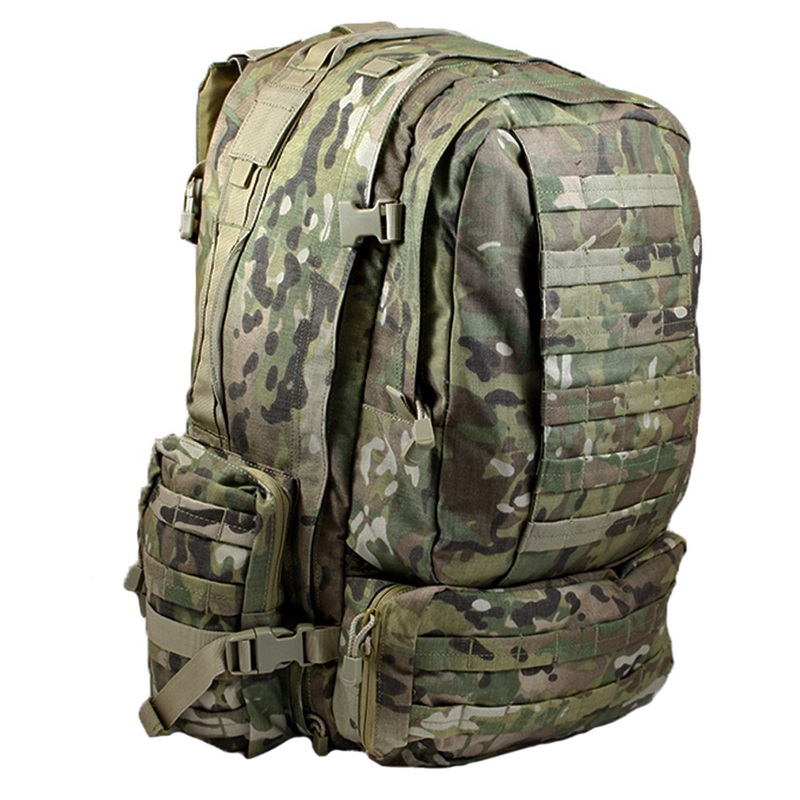 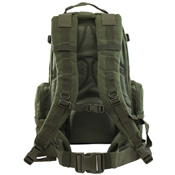 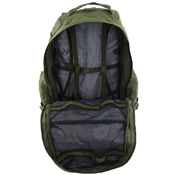 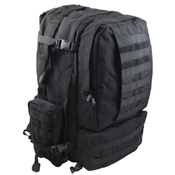 MOLLE webbing on the front and sides allows for direct attachment of other tactical gear. 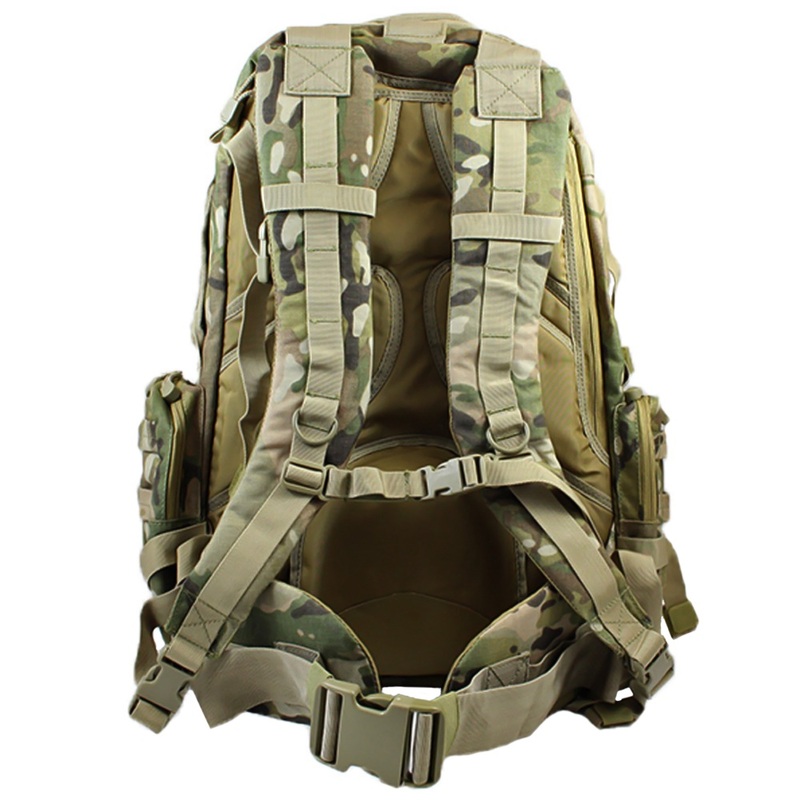 The fully adjustable shoulder, waist, and sternum straps are padded with body contoured cushions for extra support and comfort. 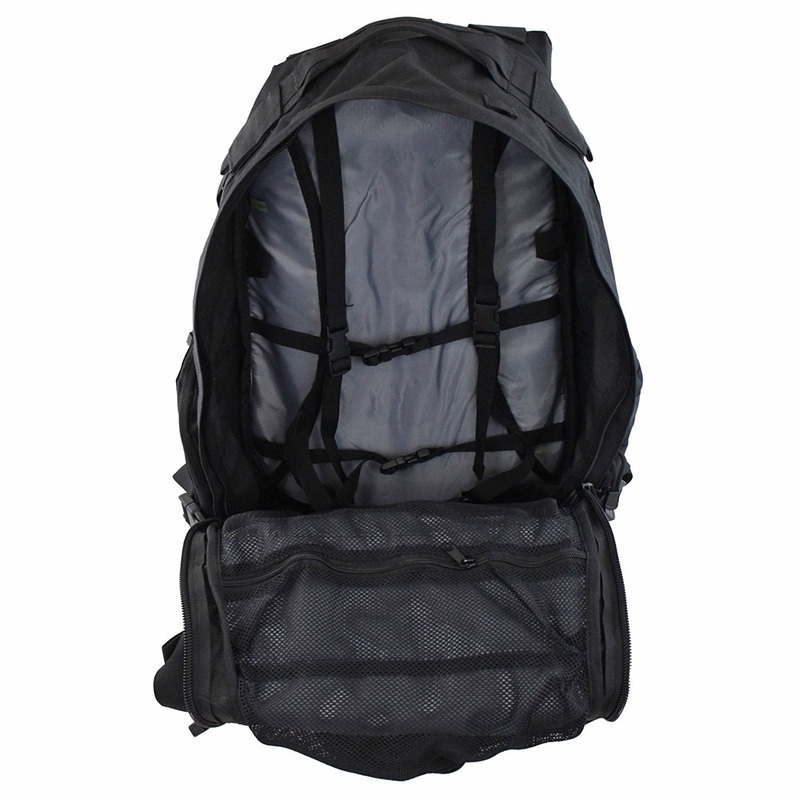 Overall dimensions are 22" x 17" x 11", 3038 in³.